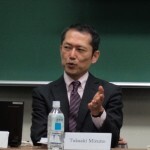 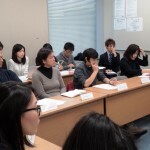 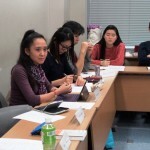 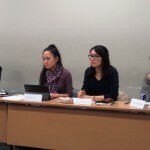 At the seminar held at Hosei University on 31 January 2015 and participated by about 30 scholars, researchers and students, three experts. 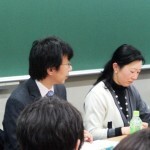 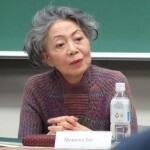 Professor Takaaki Mizuno of the Kanda University of International Studies, Assistant Professor Naoko Kumagai of the International University and Ms. Momoyo Ise, former Executive Director of the Asian Women’s Fund, presented their views on issues related to “comfort women” engaged by Japanese soldiers during the World War II. 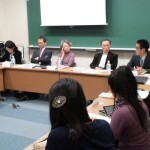 The scholars and researchers who participated in the discussion included former ambassador of Japan to Timor-Leste Yoshitaka Hanada, former professor of Chuo University Takeo Uchida, Tokyo University professor Daisaku Higashi, Executive Director of Japan Actions for Relief Center Hiroshi Oue, JICA staff Emi Kurita, staff from Japan Association for Refugee Chiaki Takenouchi, Research Coordinator of the Japan Forum on International Relations Wakako Ito, and students of Hamburg University, Tokyo University, Hosei University, Soka University, Waseda University, ICU, Sophia University, Keio University, Wakayama University, and Kyoei University. 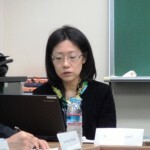 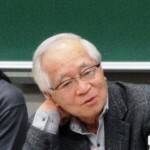 The seminar was opened by Professor Katsumi Ishizuka of Kyoei University and moderated by Professor Sukehiro Hasegawa, President of the Research Association on Peacebuilding of Japan.